Things I'd be interested in trading for: Wacom 480/471 graphics tablet. Location for pick-up: Just north of Birmingham. I'm returning to the wonderful world of electric guitar after a few years away, and that means that I need to part with some gear to generate funds to fuel my relapsing addiction I'm sure you all know how that works, haha. I did do a handful of successful trades on here in the past (I'm not sure if the first buy/sell trade thread is still around), so hopefully that counts for something. 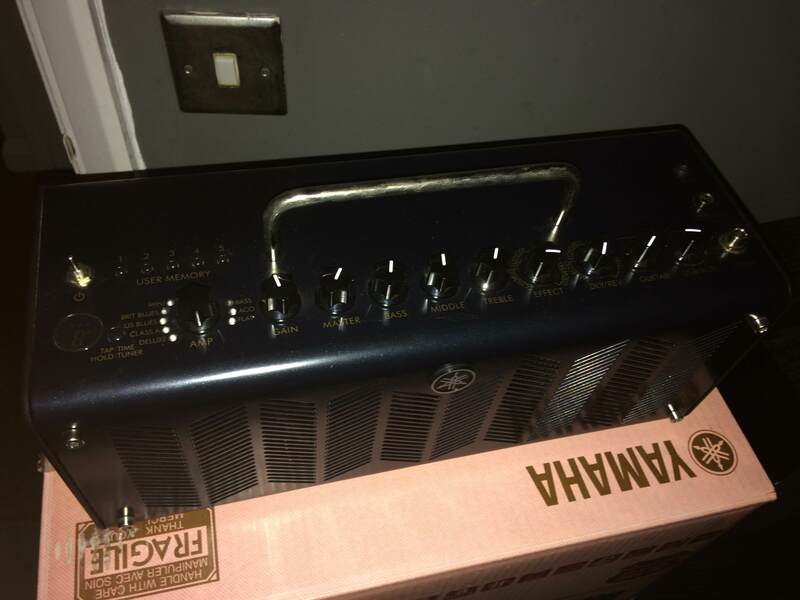 A reluctant sale that my missus says I need to make if I'm to justify my upcoming NGD Awesome little unit that puts out some really nice tones at all levels of home/bedroom volume. Boxed with the cables, but NOT with the Cubase AI code - It'll still work just fine with any DAW you have, though. Bought new last year & well taken care of. I've little to no need of portable audio gear right now (which will be a recurring theme in this thread), so I'll happily let these go to a good home. Still have the original box & all the original contents, including the travel case. FiiO E12 Mont Blanc Portable Headphone Amplifier - SOLD! Sony NWZ-A15 DAP/MP3 player with 64GB Sandisk MicroSD Card - No longer for sale! Bought new as a replacement for my old Sony DAP around the same time as the FiiO E12, and again, well taken care of with all the original contents. This thing has pretty incredible battery life, making it a great companion for when you want to save phone battery. Really lightweight, but well built. 16GB internal memory with the 64GB MicroSD card on top. Sounds great unamped. As with everything else - Bought new, well looked after, boxed with original contents. Not much to say about this one - It was an impulse buy >.< Works great though! Venom Arcade/Fight Stick for PS4/XB1/PC - SOLD! White Album/Sgt Peppers/Abbey Road 12" Vinyl - SOLD! All from the recent magazine run, and all played just once. Set me back £56 new, so grab yourself a bargain! Hey bud, I was lucky enough to win a pair of Focal Clear Pro headphones recently, and as such I was thinking about dedicated amps, Im not fussed about portability, but these 2 look interesting. A quick research seems that the FiiO is good VFM, but I reckon Id like something ab bit better....the Chord looks interesting..? Good god, that's a pretty serious win - Big grats on the headphones! Honestly with the Mojo, I feel it definitely lives up to the hype for its intended purpose, and like I said, I'm iffy about selling it & finding something else, but... You're paying a premium for the portability, and if that's not something you're particularly in need of, you'd probably be just as well (if not better off) buying something new that's intended for home use. Thanks for the info and honesty ....I will do some more research..
And no worries. Don't get me wrong though, it's still a cracking piece of gear. The fact it's portable still can work well for home use. For example, you could use it with your PC to listen to music, then go plug it into your TV to get a better experience on that, too. Same with gaming systems that support optical out. I considered the Mojo for desktop use but apparently there are problems with the battery if you leave it on and aren’t cycling it. Also it’s not good ergonomically for sitting permanently. I've not had any issues like that that I'm aware of, but I have been leaving it on while charging to full, then disconnecting it until it drains entirely. I think though, just in case, I'll take it off the market. I use it every day & enjoy using it for what I do, and I'd hate to sell it to someone who finds that it's longevity has been impacted by the way I've used it. So hey, I'll just keep it. SNES Mini has sold through a local trade site. Rest is still for sale. Nudge back to P1. Everything still for sale. £10-20 knocked off everything, as I've seen something I like & would like a bit of extra moolah to get the ball rolling. Would also be interested in a Wacom CTL-480 if someone has one in really good condition. Decided against eBay after reading a thread here regarding returns. Adding some more stuff up for sale. Pictures will follow, but these are fairly reluctant sales to help convince the missus that the upcoming NGD is A-OK I'm sure you guys n gals understand where I'm coming from, haha. 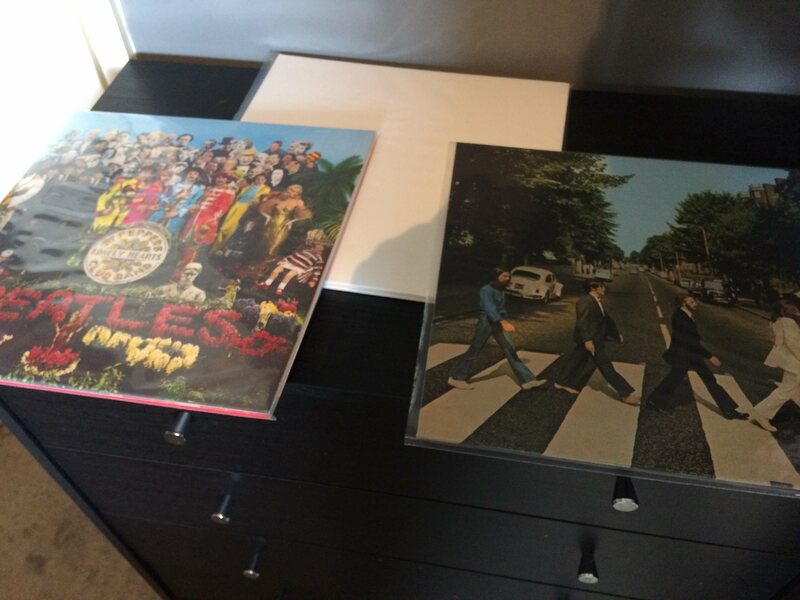 White Album/Sgt Peppers/Abbey Road 12" Vinyl - All from the recent magazine run, £17-22 new each, all played once. £35 takes all 3. Absolutely no trades, but feel free to make offers. More will likely be added! Weekly nudge. Any World of Warcraft players here?! Nudge. Open to offers on everything! Also now selling a Yamaha EZ220 keyboard. I'll add pictures & a price to the OP tomorrow when there's better lighting for photography. As they're £170 new, and it's minty, I'd be looking for £110-120 collected. (Also, I might be parting with a guitar... Hmm). Willing to do a deal if you buy multiple things. Guitar & anything from this thread half price. Also, I'm now looking for a 10" Android tablet. Done! Records sold locally. Keyboard no longer for sale. All the portable audio gear is still available, as is my 611VFM. Headphone amp sold locally. 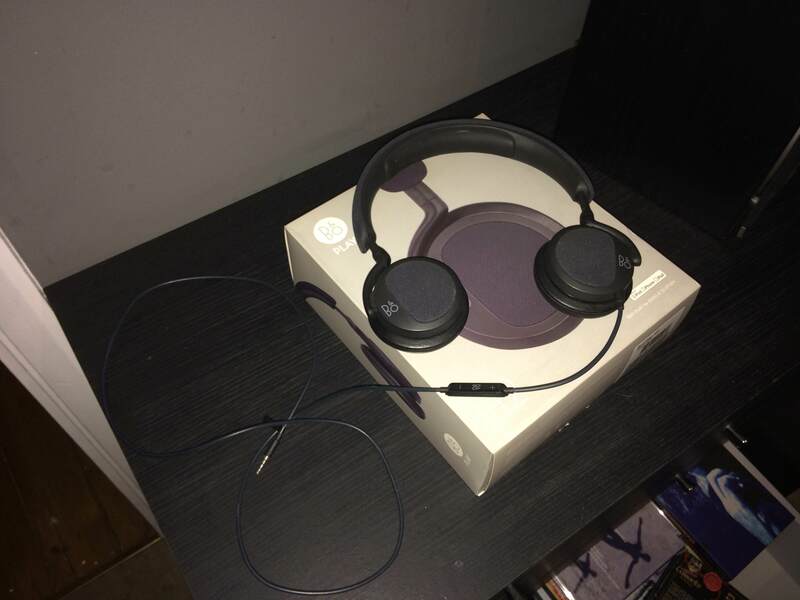 Looking to sell either pair of portable headphones then I'm done. Little nudge. Someone must still use the good ol' 3.5mm jack, no?